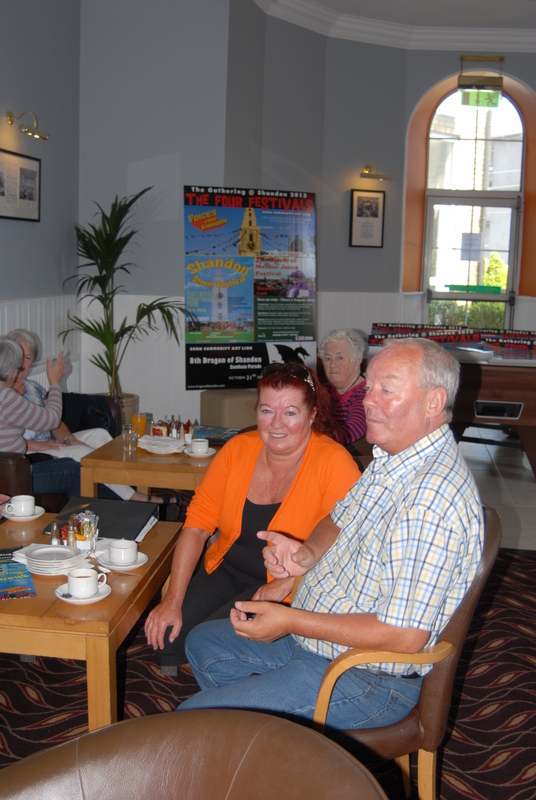 Launch of the Four Festivals of Shandon yesterday (May 29) at the Maldron Hotel. 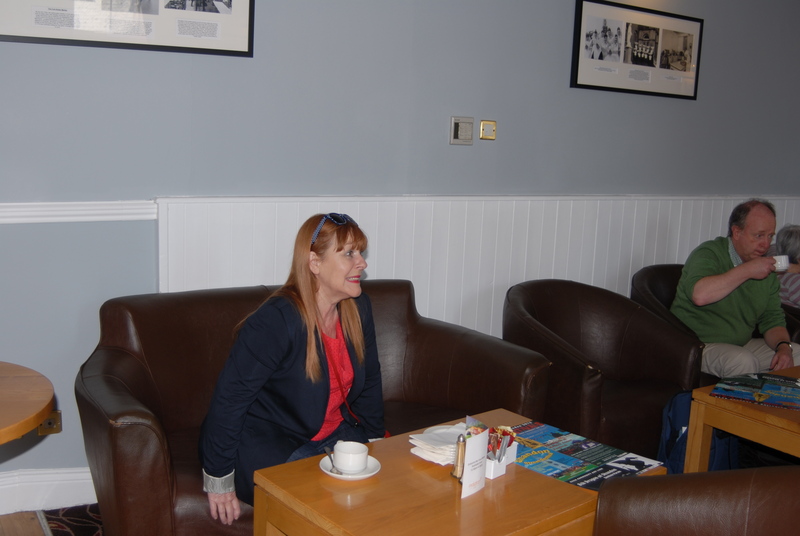 L-R: Sandra Gil, John Jefferies, Linda O’Halloran, Michael Lally, James Nolan, Cllr. 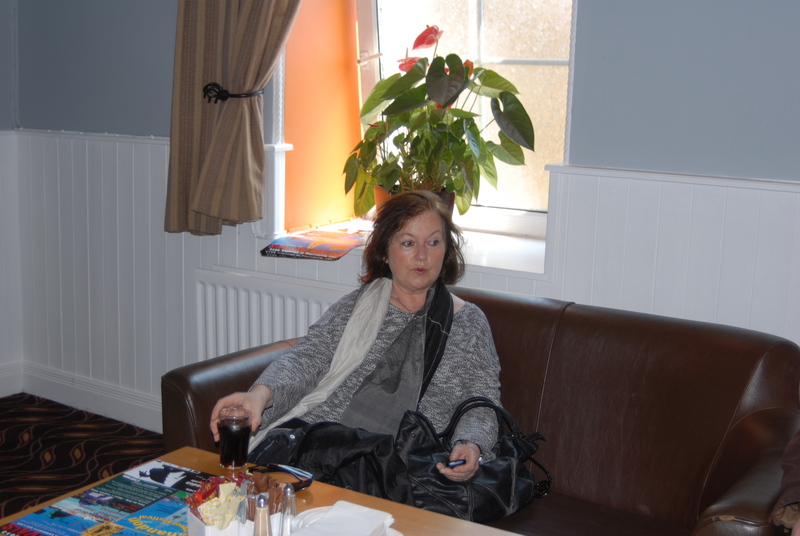 Pat Gosch, Cllr. Kieran McCarthy. Photo: Martin Duggan. 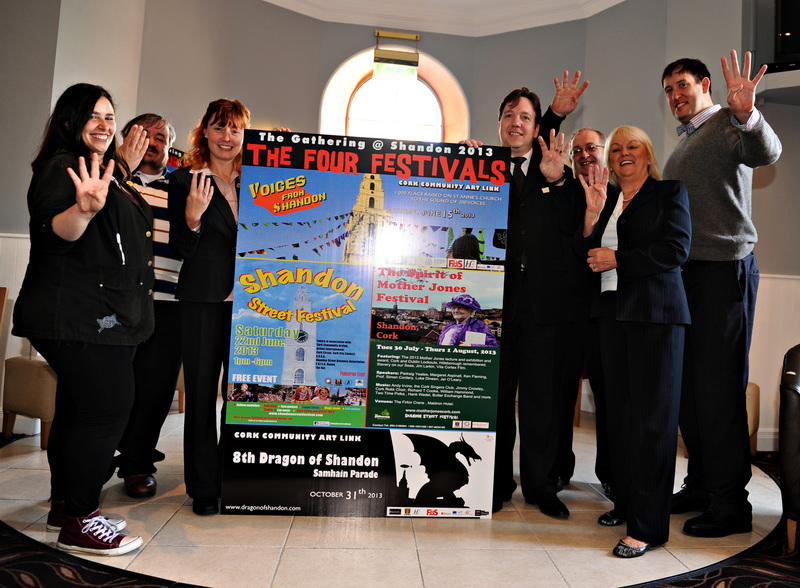 A unique event took place in the Shandon area of Cork city yesterday (29 May) with the joint launch of four separate festivals which will be held in the area under the auspices of “The Gathering” during the summer and early autumn. 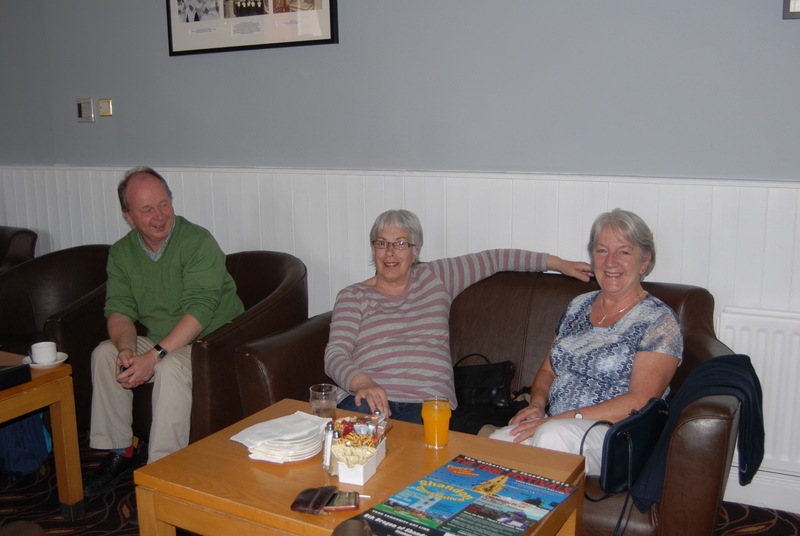 Dubbed “the Four Festivals under the Four Liars”, the events will be launched simultaneously at the Maldron Hotel in Shandon this Wednesday (May 29th) at 1.00pm. All local media are welcome. The “four liars” is the local nickname for the four faces of the Shandon clock on the iconic St. Anne’s Church which is known for showing a slightly different time on each face. “Voices from Shandon” on Saturday, 15th June; which will include the raising of 1,000 flags on St. Anne’s Church to the sound of 200 voices. The 7th Shandon Street Festival on Saturday, 22nd June which will feature a large number of events aimed at all ages from face-painting and magic shows to live music and story-telling. 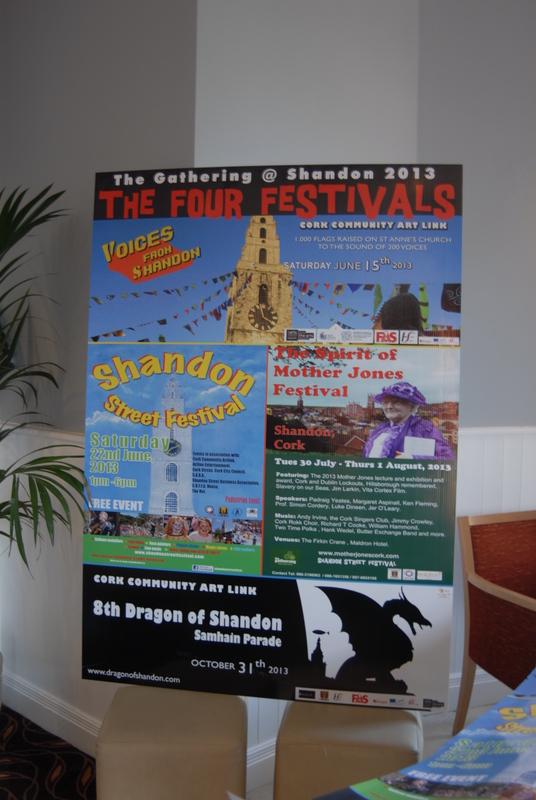 Last, but not least, is the 8th Dragon of Shandon festival on Thursday, 31st October to celebrate the ancient Irish festival of Samhain / Halloween and will feature Ireland’s largest dragon. Spokesman Jim Nolan said that the launching of four festivals on the one day was a first and predicted that they would be a major boost to local businesses and to the standing of the area as the historic heart of the Northside. Relaxing at the launch. Photo: John Jefferies.